England's most famous Cathedral city, Canterbury is home to two universities with 20,000 students. There are many busy cafes, bars, clubs, pubs and a modern shopping centre; you will really enjoy this city whether you're here for 2 weeks or 12 months! 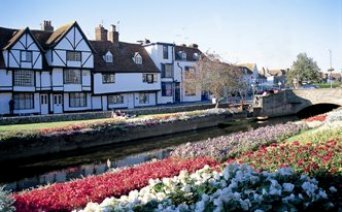 Canterbury welcomes almost 3 million visitors each year and there's always something to see and do. 2 major European capitals are within easy reach (London-Victoria 90 minutes; Paris Gare du Nord 2.5 hrs).